E-cigarette : How to stop vaping? How to quit vaping ? Electronic cigarette: how to stop? We all know people who quit smoking, but do we know people who quit vaping? Doctors will soon deal with patients who try to stop vaping. 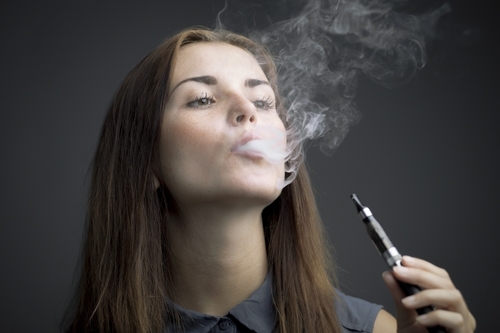 Can e-cigarettes help a smoker stop, just like gums or patches? Indeed they can but we should not forget about side effects. There are some risks if you vape and it is addictive. In addition, we need more time and studies to be able to know for sure. Moreover, e-cigarettes are considered as a tobacco product. As a matter of fact, the tobacco industry acquires e-cigarettes companies. Smokers have to stop vaping if they want to be 100% tabacco free. Also there is a risk that a new generation starts vaping, unaware of real risks. In that case, e-cigarettes become a public health issue. Vapers call the e-cig “the killer and see the electronic version less dangerous. Indeed, risks for your health are lower. According to Doctor Bertrand Dautzenberg, vaping is « 100 to 1 000 times less dangerous than tobacco », which explains the highway metaphor. He reminds us though that it is a « toxic and addictive product ». E-cigarettes are a half solution. Less dangerous for our health but still dangerous. However, risks of addiction are the same. Is this risk of addiction similar to the one smokers risk with traditional cigarettes? Rachael Lloyd’s – that was published by Telegraph – is clear. She took up vaping and thought it was a miracle solution… until she learnt that she was smoking the equivalent of 40-a-day. She had developed a new addiction to nicotine and realised that vaping could also be unhealthy.